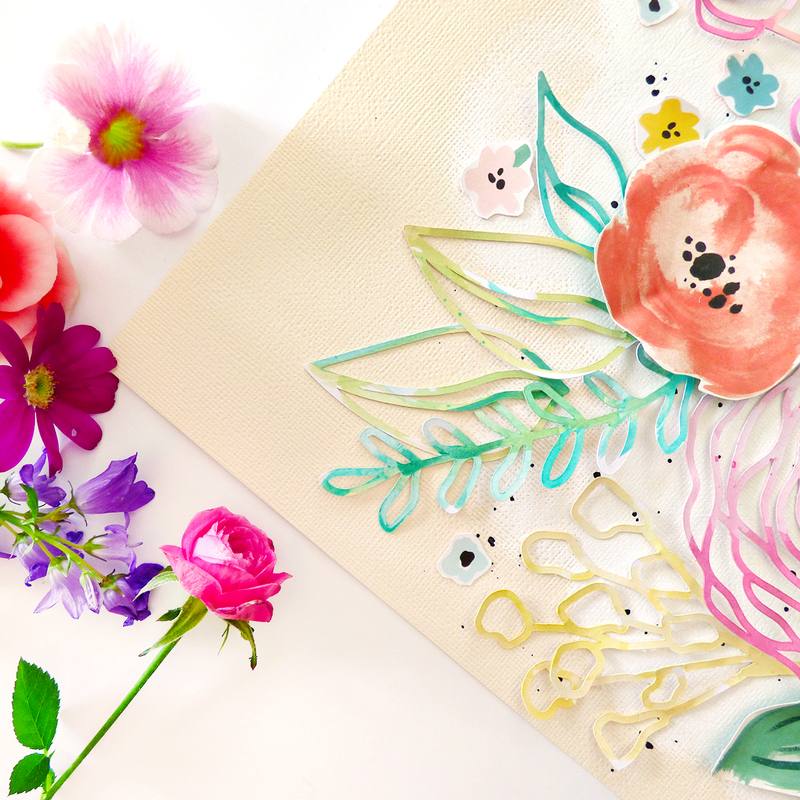 I have a layout with a "flower" theme up on the Pink Paislee blog today! DESCRIPTION: I heart flowers! Any excuse to use them, and LOTS of them, on a layout is okay by me! HOW TO: Die cut the Studio Calico "Film Club" flowers and leaves from white cardstock and leave them on the sticky mat while watercoloring them using colors pulled from Fancy Free. Paint a vanilla cardstock background with white paint swirls and flick black ink on top - let everything dry. Layer the die cut flowers and some fussy cut flowers from Fancy Free on the background along with a photo and embellishments. Journal below the photo. This is gorgeous! LOVING those flowers and that photo is PRECIOUS!!!!!!!!!!!!!!!!!!!!!!!!!!!!! WOWY--this is GORGEOUS, I'm a total sucker for flowers! Seriously amazing. As per usual. This is pretty much my most favorite layout ever!